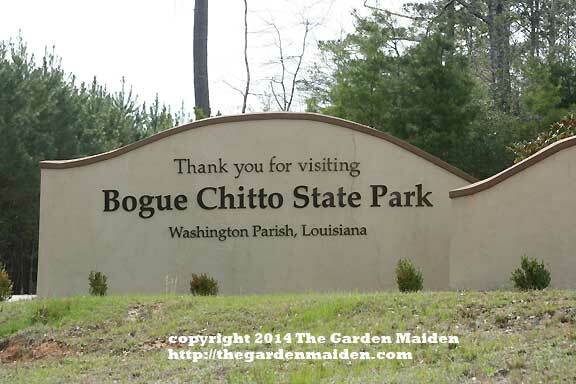 Bogue Chitto State Park is located in Franklinton, Louisiana (about 35 minutes north of Abita Springs, LA). I recently traveled there for a hike with my husband and two dogs. What a wonderful surprise! I am only sorry we did not know about this state park sooner. As pictured above, there was tremendous spring color to be found, including Gelsemium sempervirens, Prunus serotina, and native maple (Acer species). Below are many images I captured during our hike, which wasn’t the ideal time for photography, but photography wasn’t the reason for our visit. I would love to elaborate more on each plant, but working with the images, researching the plants, and putting it all together has maxed out my daily limit. 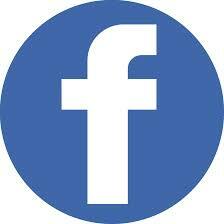 Where in doubt of the species, I have only indicated the Genus. 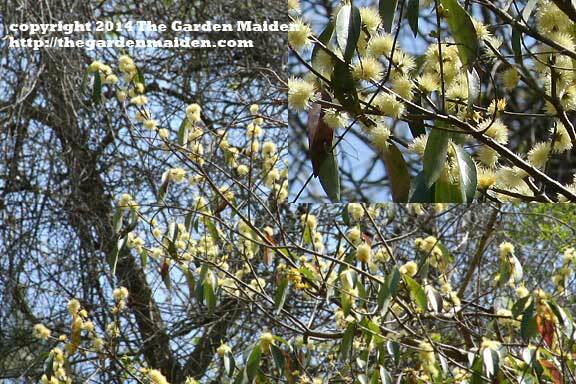 The image above is likely a crabapple. 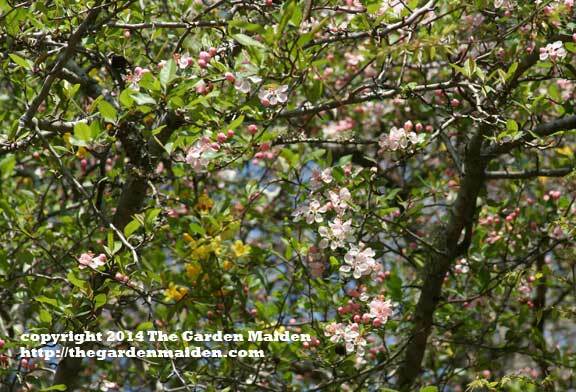 Note the pale pink blossoms, indicative of the Malus genus. 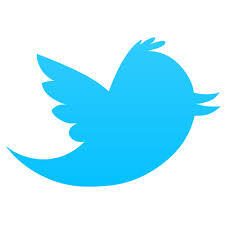 Below is what looks like a wild apple. 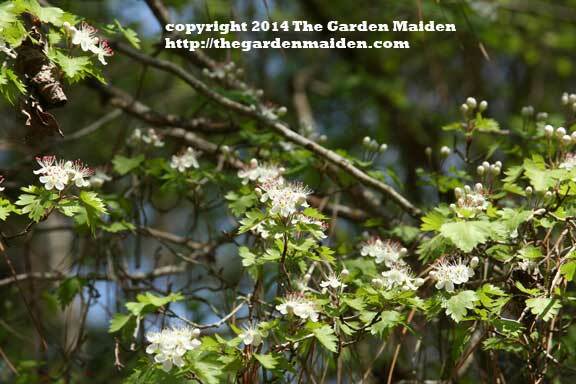 Its a rather old, shaded tree, but the flowers were all white and very beautiful in the afternoon sun. 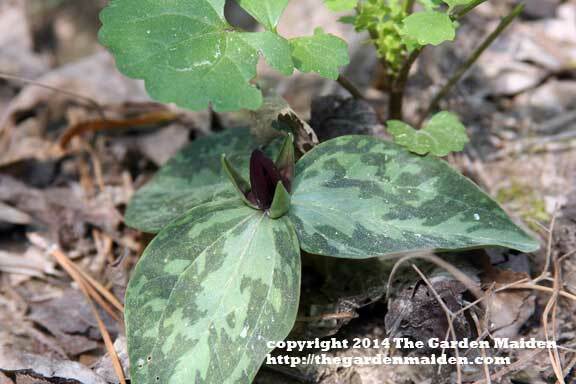 Below is a Trillium! One of spring’s sweet surprises. 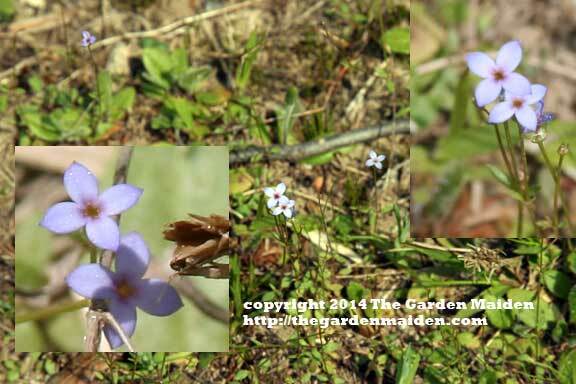 Keep your eyes peeled on the ground for this low growing and somewhat shy native. The Illicium at this state park were incredible. Hurry and get up there now to see the glorious blooms. 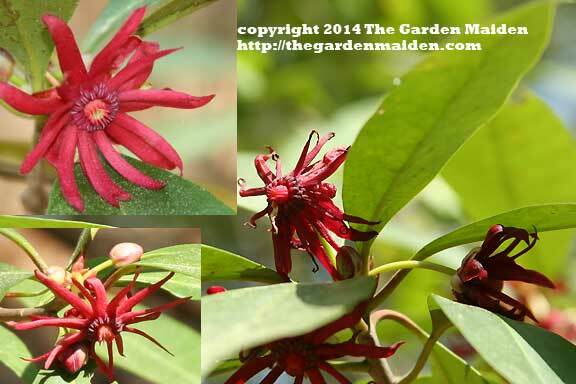 I had never seen so many Illicium floridanum in one area, and certainly not blooming! While quite showy, their smell was somewhat along the lines of a dirty fish aquarium. But you did have to get close to smell it. 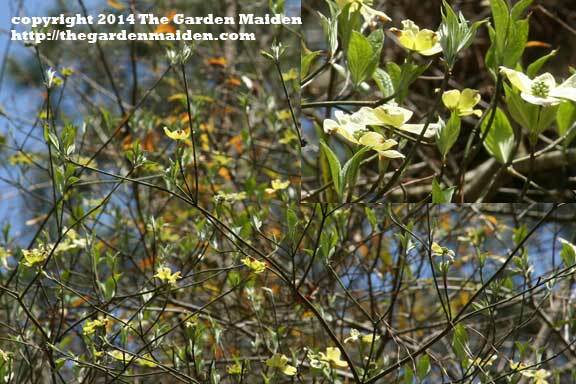 I had a variegated variety of this native growing in my yard, but it did not survive the year after planting. I would like to try again. 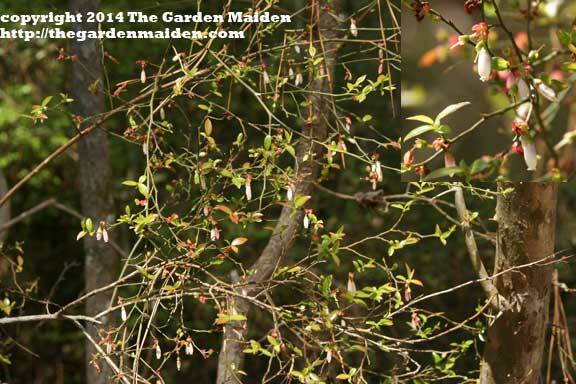 In a recent post about what’s blooming in my yard, I included a note about Vaccinium elliottii, Elliott’s blueberry. 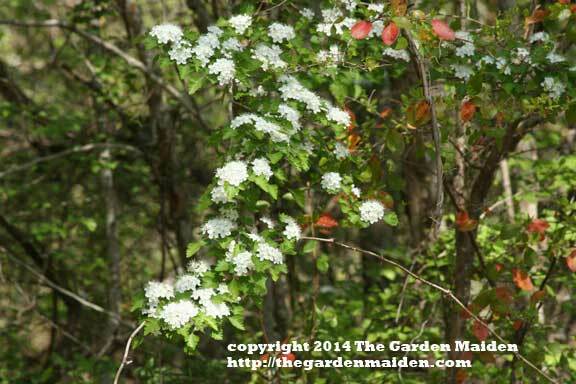 There were several plants still blooming along the trails at Bogue Chitto. 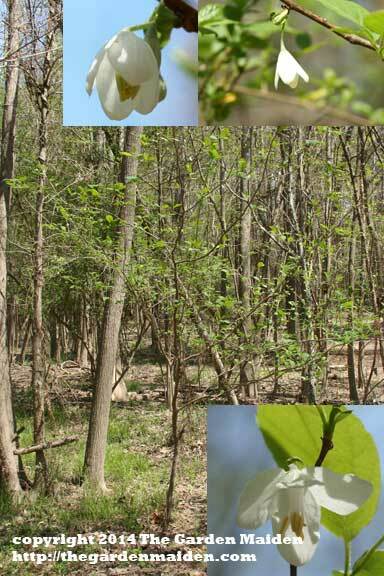 I could not have been more surprised to find a flowering dogwood along the trails. Some of the trails lead you up hills with overlooks of the ravines below. This higher level of well-drained soil provided the perfect niche for a dogwood. 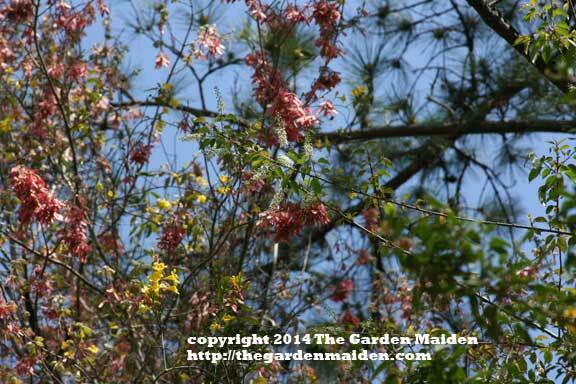 This tree was relatively old and the flowers were about twenty feet high into the canopy. They were not white, but a creamy light yellow. 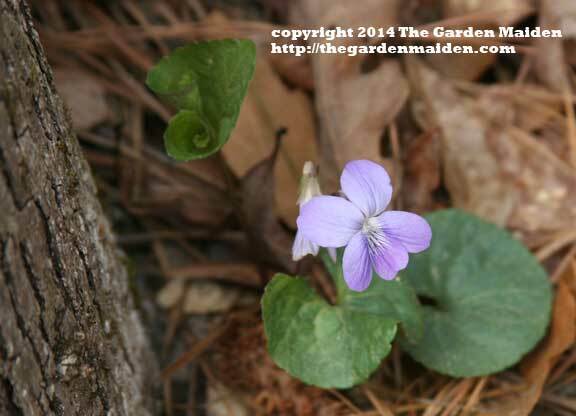 I spotted a couple of little violets, some that were white tinged with purple and this lovely lavender colored specimen below. Often seen popping up in lawns, species of the genus Hedyotis could be found along the trails in sunnier locations. Last week I photographed Nothoscordum in my own yard and have since found huge swaths of it blooming in unmowed roadsides. 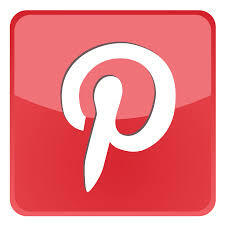 The image below was a specimen along the trails we hiked. 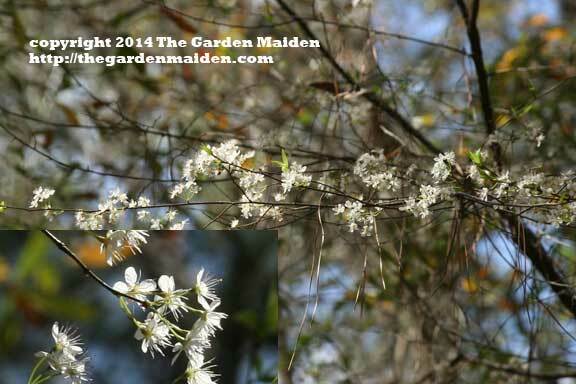 Certainly I was impressed with all the native blooming plants at Bogue Chitto, including several Halesia, I believe H. diptera. Similar to the flowers of Elliott’s blueberry, Halesia diptera have cute little bell-like flowers that hang daintily from their slender stems. Its always fun to identify a plant that you never remember seeing or learning before. Such was the case with the small tree below: Symplocos tinctoria (common sweet leaf)! Getting up close and personal with the flowers was a special treat. 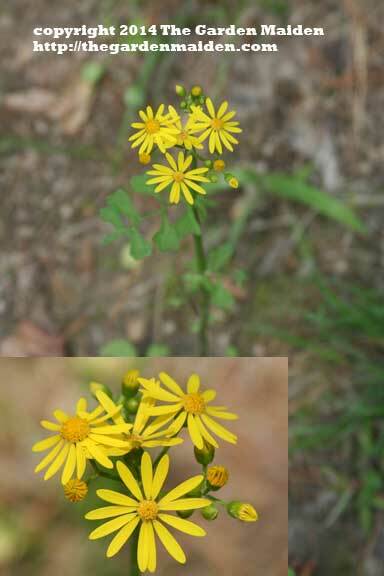 The genus Senecio is large and at the moment I don’t have time to key out the two yellow-orange spring wildflowers. 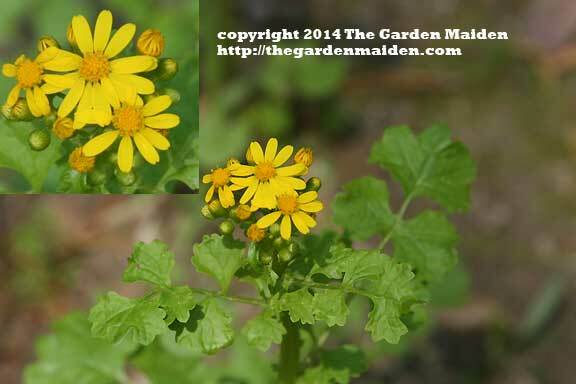 They are members of the family Asteraceae and as best as I can tell, are both in the genus Senecio. 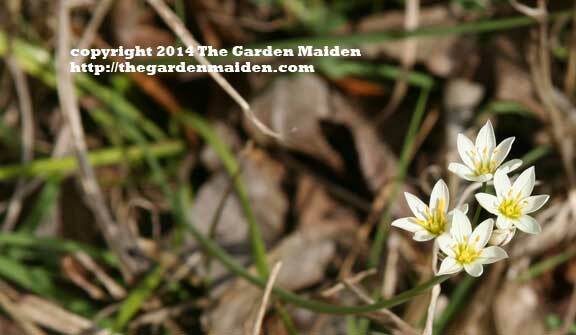 They were blooming side by side along the shadier areas of the trail, particularly the lower, wetter areas. You can find a great resource from Louisiana State University Ag Center in their Native Tree Guide. The bathrooms were clean, stocked, and plentiful. Our dogs had a great time hiking the trails with us and we can’t wait to go back. There were hills to climb, streams, lakes and a river to to explore. Many folks were camping, running trails, hiking, biking, fishing and walking with families and friends. It was a very safe and well-maintained park. Kudos to LA State Parks! We recommend ending a day of hiking with some tasty, fresh, local microbrews and grub at the Abita Brew Pub in Abita Springs. Their patio is also leashed-dog friendly!